Sustainable designs require long-term environmental vision. 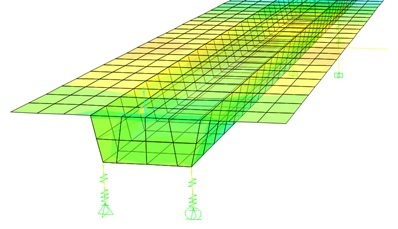 To this end, this study proposes a methodology to design reinforced concrete I-beams based on multiobjective optimization techniques. The objective funcions are the economic cost, the CO2 emissions, the service life, and the overall safety coefficient. 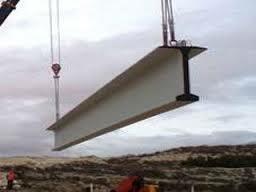 The procedure was applied to a simply supported concrete I-beam including several high-strength concrete mix compositions. The solution of this 15 m beam was defined by a total of 20 variables. Results indicate that high-strength concrete is used for long-term solutions. Further, the economic feasibility of low-carbon structures remaining in service for long periods and ensuring safety is proven. This methodology is widely applicable to different structure designs and therefore, gives engineers a worthy guide to enhance the sustainability of their designs.